Reason came into our care with Rebel and Rhyme. She is the private investigator of the group–she is curious and loves to observe the world around her. She is more shy and private than the other two, but doesn’t mind being picked up. She loves to play and prefers to be adventurous on her own terms. 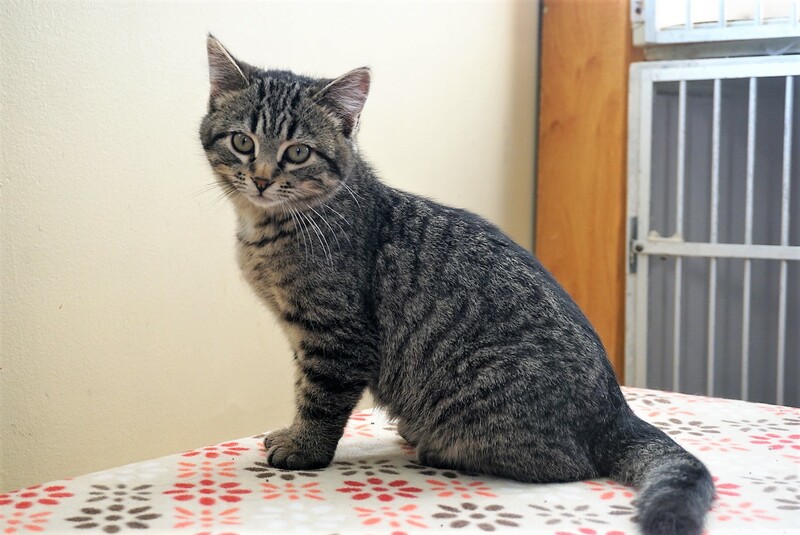 Reason is working on her confidence and socializing; she would do well in a home with other cats. If you would like to meet Reason, you can visit her at our store location at 38 Barberry Road.